If you’re looking to haul or tow heavy loads to the jobsite in Chicago Heights, it doesn’t get much better than the Silverado 2500HD. Car and Driver writes, “When it comes to its workouts, the Silverado HD doesn’t skip leg day, ever.” Find your ideal Silverado 2500 HD color, engine, and trim option at Chevrolet of Homewood today! 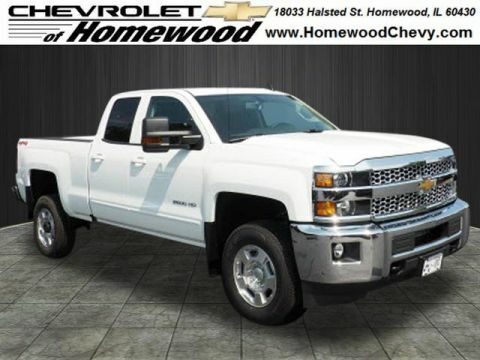 Why Buy a New Chevrolet Silverado 2500HD from Chevrolet of Homewood? Chevrolet of Homewood is the ideal place to buy your next pickup. We offer a Low Price Guarantee on all new models, so if you find it elsewhere for a lower price, we’ll gladly match it. In addition, our Smart Shopper Advantage adds perks like free car washes and a lifetime engine guarantee. Contact us today if you have any questions about the Silverado model line!